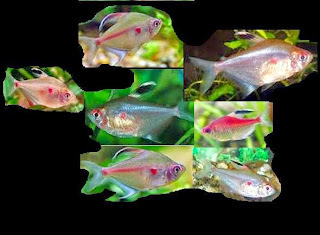 Bleeding heart tetra is a relatively large tetra fish with a red spot next to its gill like the heart . And it looks like a bleeding heart. Bleeding heart tetra is a peaceful schooling fish for planted and community aquariums but occasionally they tend to nip fins of the long finned fishes . They should be kept in groups of more than 6 per group. Bleeding heart tetra fish prefer slightly acidic water for optimum health conditions. If the water quality is maintained and treated with live food, they will spawn easily and live longer. Bleeding heart tetra prefer dark environment with lots of plants / drift wood setup with some dried leaves in it. Intermediate. Schooling Fish should be kept in 3 – 10 in numbers.